Bobbi Brown Bobbi To The Rescue Detox & Hydrate Set for Holiday 2016 | Top Beauty Blog in the Philippines covering Makeup Reviews, Swatches, Skincare and More! 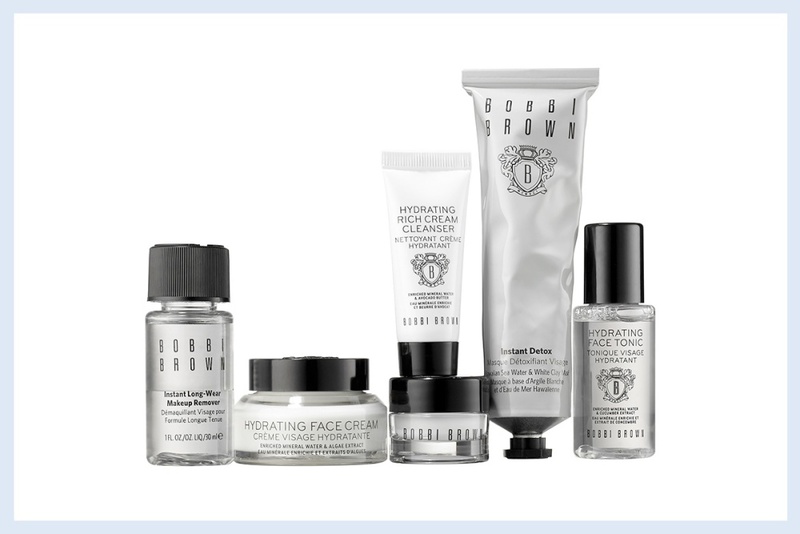 Bobbi Brown's six-piece set with cleansing, detoxifying, and ultra-nourishing skin care formulas to help you take the night off for Holiday 2016 is now available online at Sephora! This super-charged skin care routine is all you need to survive party season. This set features an Instant Long-Wear Makeup Remover to gently and thoroughly dissolve your makeup, while the emollient-rich Hydrating Rich Cream Cleanser leaves skin squeaky-clean without stripping away moisture. The Instant Detox Mask extracts even the most deep-seated toxins and impurities, and the chamomile- and aloe-infused Hydrating Face Tonic soothes stressed-out skin and preps it for hydration. The bestselling Hydrating Face Cream and Hydrating Eye Cream instantly infuse skin with nutrient-rich moisture to help revive your skin. I think this collection is amazing, packaging is gorgeous. Have a blessed day, kisses! Bobbi Brown is such a nice brand! Many thanks for sharing this set!